Moving in spring has one downside: it tends to disrupt all of those New Year’s Resolutions about getting fitter and healthier at a time when they are probably already starting to slide. Using personal shipping services can help. If you’ve invested in exercise equipment, you can ship it to your new home. International shipping companies carry all kinds of personal possessions around the world by land, sea and air. If you are considering this, the first step is to research the cost of replacing your exercise equipment in your new location. Depending on where you are going, you might find similar exercise equipment more expensive, cheaper or unavailable. It is important to research the brands available too and what level of quality you can expect. But if you have just invested in exercise equipment, replacing it in an unfamiliar place might not be very appealing. 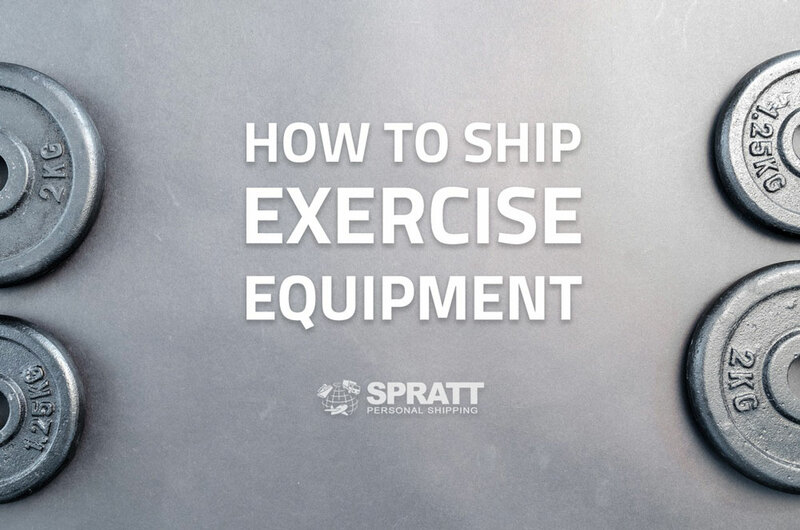 Shipping exercise equipment can save you the cost and hassle of replacing it. And if you are shipping a container of furniture and other belongings, it makes sense to include your exercise equipment. Exercise equipment generally involves moving parts, including some delicate pieces, and batteries. That means you cannot simply put it in a box and hope for the best. To protect your exercise equipment, you need to pack it properly for shipping. The first step is to clean and disinfect the item completely, ensure it is dry and remove any batteries. Each type of equipment poses its own challenges, but these tips can help you ensure that international shipping companies can get your favourite exercise equipment to your new home safely. Stationary Bike: If you still have the instructions and any Allen keys used to assemble it, disassembling it is an option. But you can also move it assembled. Use packing tape or ties to secure any loose wires. Then wrap the bike securely in a moving blanket or similar to protect it. Putting a large box over it will provide further protection. Put cardboard or another blanket under the bike so you can easily slide it along with damaging it or the floor. Treadmill: This is a very heavy piece of equipment, and you will need a hand truck and a couple of helpers to move it safely. Secure any wires, then fold and lock the treadmill. Wrap it in moving blankets for protection. Elliptical: It is much easier to move this heavy and awkward item if you disassemble it first. Put all of the smaller pieces into one box, wrapping each one to protect it. Again, this will require a hand truck and helpers. And like the other items, it should be protected with moving blankets. Weights: The challenge here is finding moving boxes sturdy enough that the weights will not just fall out through the bottom. Plastic bins are much better than even the sturdiest cardboard box. If you have a set of weights, it is easier to put them in separate boxes to keep the weight of each box reasonable. Wrap each weight separately. Using personal shipping services to bring your familiar exercise equipment with you when you move is a great way to keep on track. Changing your routine makes it easy to slack off, and if you have to go out and replace your exercise equipment, you are probably going to miss a lot of workouts as you settle in. But international shipping companies can quickly reunite you with your belongings so you can continue your fitness routine. Spratt Personal Shipping can help you transport your belongings to virtually anywhere in the world. Our team can help you with any question you have. Drop us a message! ← Is Shipping Personal Items Safe?